Well, it’s almost time to start a new growing season so i thought it would be a great time to look at some vegetable garden tips and tricks to get your year off to a great start. Every year, every gardener will have successes and failures when growing vegetables. Last year, we managed to grow no parsnips but tons of beetroot but the year before, we grew lots of parsnips but struggled with beetroot. If you don’t have your vegetable garden started check out our new course by signing up below. Vegetable gardening is unpredictable, you can get all the basics right but the weather does its own thing. So, I thought it would be helpful to look at a few hacks and tips when growing vegetables to help maximise your chances of an all round fantastic harvest. You can download the full list here. A calendar of tasks from sowing, planting, feeding and harvesting. Check out this post and learn how to get started with your garden now. 2. Whenever you have excess produce, consider donating it to your friends and neighbours. If they’re gardener’s too why not swap for the vegetable your don’t have? Looking after your neighbours and friends is a great way to use up excess produce but if you can’t find a home for that crop, why not donate it to the local food bank and help out the needy? Remember to PIN this post for later!! 3. Are you looking to grow more salads and leaves in your space? There are so many varieties and colours of leaves that they can make a pretty addition to any space. To harvest them you can pick off individual leaves or try cut and come again varieties which means you cut off a section of leaves leaving the roots in the ground and it will re-sprout and grow again and again. You should get 3 or 4 crops from each sowing of leaves so make sure you sow a new pot each week and you’ll get fresh salads all year. 4. In your garden, take some time to check out how the sun moves around your space throughout the day. There may be areas that have lots of sunlight and others than remain in shade all day. Having this information can help you squeeze in plants that like those conditions. A few pots in a sunny spot could grow a range of vegetables like tomatoes, strawberries, and courgettes. Shadier areas can still produce a crop but try to choose leafier greens instead, lettuce, chard and brassicas can all cope with some degree of shade. Do you have any tips and hacks to share? Comment below! 5. 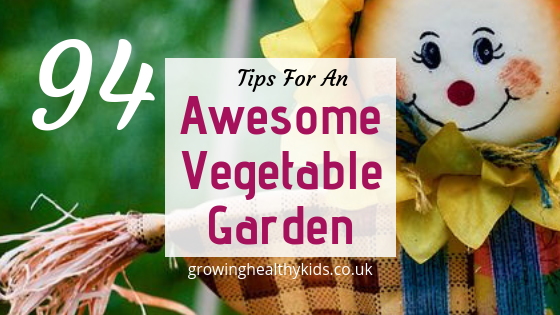 If you want to encourage your kids to get envolved in the growing vegetables, try to choose short fun activities. Kids don’t have a huge attention span, so activities like bug hunting, vegetable stamping, sowing seeds, sprouting seeds, making cress heads or scarecrows are all fun places to start. Check out some fantastic crafts here. This pony bead garden craft was so much fun and looks wonderful ! If you want them to dig you a hole to plant in, make it into a competition to see how many worms they can find. Get them hunting slugs and snails to save your seedlings. Some seeds are tiny, so I find it helpful to sow seeds of some vegetables and flowers myself. then when little kids want to help they can manage the larger plants a little easier than tiny seeds. 6. When growing vegetables, it’s essential to look after your soil. There are lots of sources of free fertilizers around you if you know where to look. Leaves can be gathered from your garden in winter and will break down to make the best leaf mould mulch possible. Using these free and natural fertilizers on your plants ensures your soil and plants stay as healthy as they can be while not introducing any unwanted chemicals in your food. Find out how to make your own compost here. 7.Try to understand the needs of the plant. What size will it be? What conditions does it need? And how much sunlight will it need? Knowing this kind of information is very useful to get the plant to grow its best. There is no point planting a sun-lover in the shade or a plant that likes a lot of water in the driest area of the garden. Remember, right plant in the right place. 8. When it comes to watering your plants, It’s best to do it in the morning if you can. As the sun rises it encourages the plants to take up water. It also gives the plant time to take up the water it needs before the heat of the day comes. 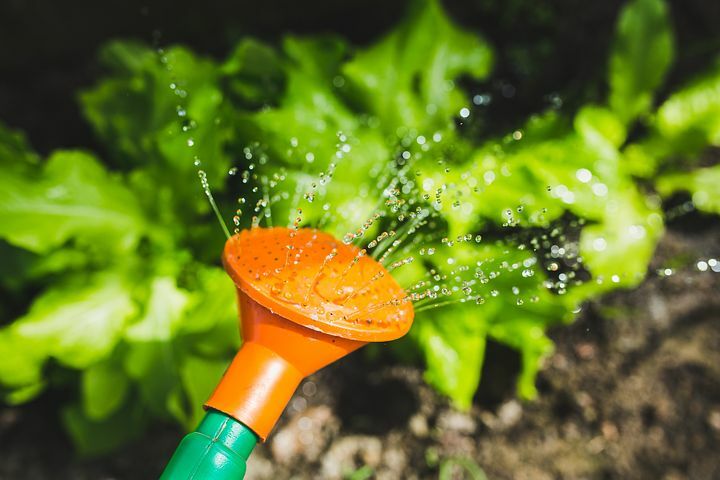 Watering at night can flood the roots with water, the plant then has to sit in damp conditions all night before the excess can evaporate the next day which can cause rotting. 9. At the start of the vegetable growing season especially, there may still be very chilly nights around. Protect your seedlings and smaller plants with old yogurt pots, or cut up milk jugs. For larger plants, a empty bucket or plant pot. Place some rocks on the smaller containers to ensure they do not fall over. Large water bottles from drinking machines are great for this too. Remember to remove these as temperature rise. You don’t want your plants to overheat! 10. When planning your vegetable garden, why not try some companion planting? This is a great method to help prevent pests and diseases in your plants – especially if you have limited space. For example, planting chives or onions near your carrots is said to deter carrot root flies, and planting sage near your cabbage will reduce a cabbage moth’s damage. Or, use a sacrificial crop by using nasturtiums to attract aphids so they leave your other crops alone. There are so many combinations to try so experiment and have fun. There’s a great list to get you started over at Mother Earth News. Is Growing Veggies For you ? 12. 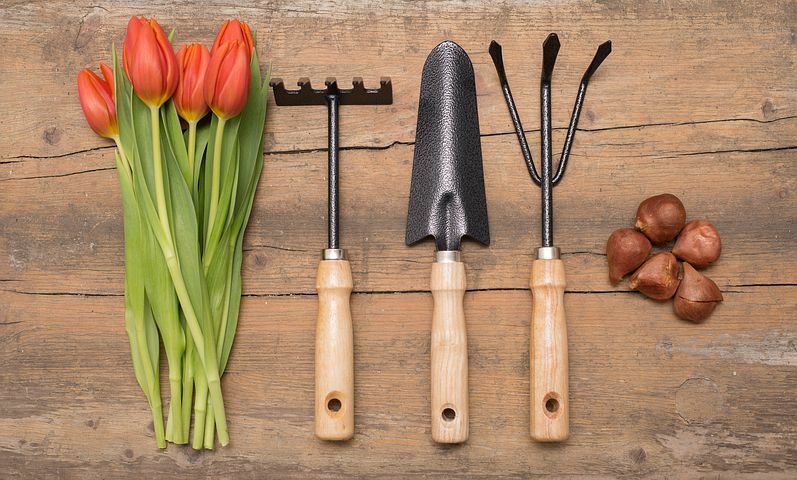 Are you not certain that gardening is for you? feel like you don’t have a green thumb? Well, why not try growing vegetables for free?? Simply take some of your left over kitchen scraps and regrow them?? Yes, really! It’s so easy and in the most cases absolutely free as your not buying seeds etc. Give it a go it’s addictive!! Check out how to get started here! So, there you go. Lots of hints, tips and tricks to get you started growing vegetables. Remember to print your full list of 94 tips so you can find more great advice. What will you do to improve your chances of growing your favourite fruit and vegetables?? Let us know in the comments below your best tips and tricks to getting a good harvest from your favourite crops! !